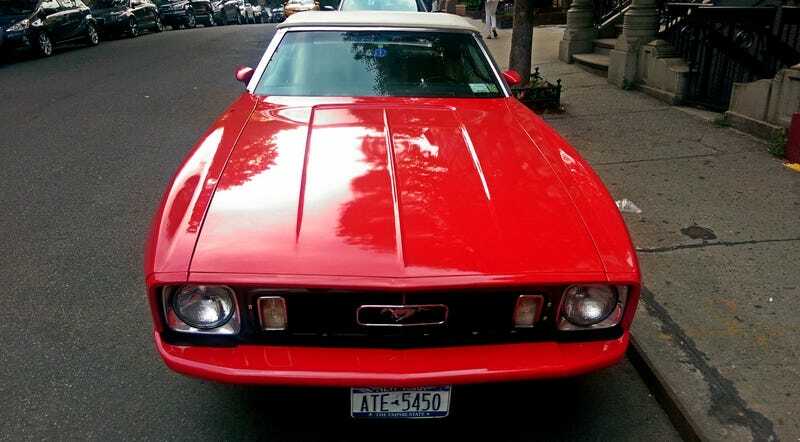 Took me a while to realize that the body-color front bumper meant it was a '73, not some '71 or 2 Mach 1 mockup. These are way bigger than they have any right to be, but looked surprisingly modern. Not crazy about the back. They should have kept the classic '70 taillights, but I guess this is actually pretty great compared to the horror of the Mustang II. Deville in the City, and some nightmares.